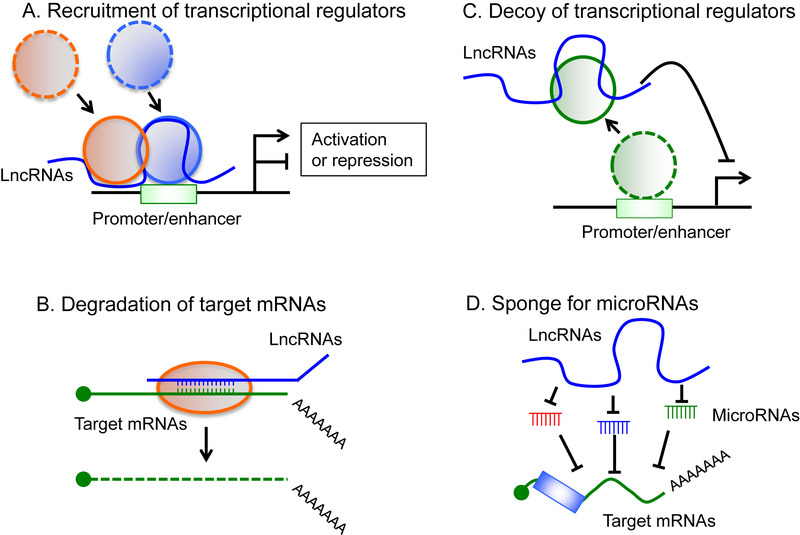 Long non-coding RNA (LncRNA) is defined as an RNA transcript that does not encode any protein, with a length longer than 200 nt. 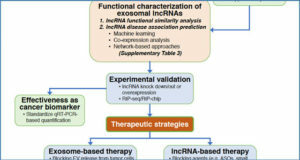 Based on the recent advances in high-throughput sequencing techniques, a large number of lncRNAs have been characterized as functional transcripts that play important roles in various biological processes as well as pathologic states. 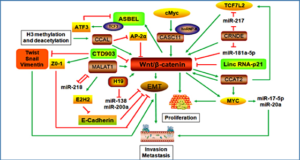 In a research field of prostate cancer, several key lncRNAs have been identified as new players that contribute to the pathophysiology of the disease, which is primarily regulated by androgen and its cognate receptor. 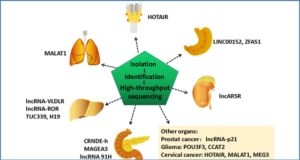 Researchers from Saitama Medical University shed light on the history and future perspective of these prostate cancer-associated lncRNAs. 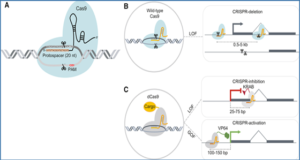 (A) Recruitment of epigenetic regulators and transcriptional factors to enhancers/promoters of lncRNA target genes (e.g., CTBP1-AS, HOTTIP). (B) Heterodimer formation with its target mRNA (e.g., lncRNA PCA3 and its antisense mRNA PRUNE2). 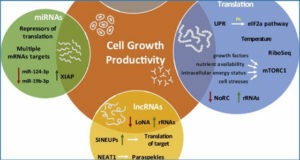 (C) Inhibition of associated protein to transcriptional regulatory regions (e.g., lncRNA SChLAP1 versusSWI/SNF complex component SNF5). 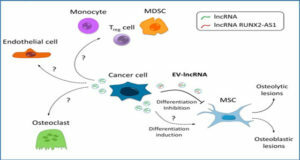 (D) Sponge action for microRNA (e.g., PTENP1, KRAS1P, PCAT1).